Here at Culver City Toyota, you have a variety of options for returning your leased vehicle. If you have questions about how to trade in your lease, or how to get a new car, call us at (424) 298-4900. Awesome! We’ll get you back to that new car smell, new technology and safety features, and ultimate comfort. 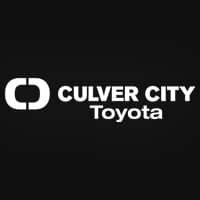 Culver City Toyota offers a wide variety of new Toyota vehicles for you to choose from. View our large inventory, or give us a call at (424) 298-4900 for any questions about our new inventory. Wonderful choice! You just need to contact the bank that you leased your car from. For Toyota Financial Services, the toll-free number is (800) 874-8822. We can help you with this too. There are just a couple steps for you to follow. 2. Please be advised that leasing banks will charge you a Lease Termination Fee. You may also be charged for excess mileage above your contracted terms and/or any excessive wear and tear. Any such charges are not levied by Culver City Toyota, but rather by the leasing bank. Don’t forget that you will remain as the registered owner until the leasing bank re-sells the vehicle to someone else. This re-sale process can take several months. This is a smart choice! Because of the high quality Toyota cars offer, many customers choose to purchase their car after their lease ends. You have been the one maintaining and driving the car, so you know exactly what you would be buying. You’re also getting a significant discount off the original MSRP. Call (424) 298-4900 if you have any questions.